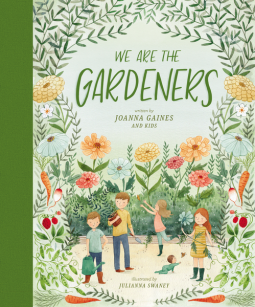 My Thoughts: We Are the Gardeners is a beautiful introduction to gardening for children and families. We’ve all had plants that didn’t thrive due to problems with watering, sunlight, or wildlife. 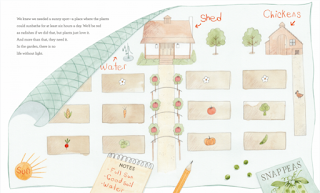 This charming children’s book shows that planting and maintaining a garden is hard work, but it’s also rewarding to create something of beauty and utility. The Gaines children learn how to solve problems, work diligently, and do their research when creating a garden. This book will inspire families to start their own gardens or tend to indoor plants if gardening isn’t an option. 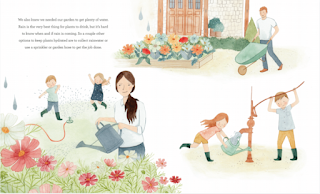 Illustrator Julianna Swaney also deserves high praise for her beautiful and charming illustrations that make this book such a joy to look at. Disclosure: I received a complimentary digital copy of this book through NetGalley. All opinions are 100% my own.